The County of Loudoun, Virginia is the third most populous county in the state. Located just 25 miles west of Washington, D.C., it offers residents beautiful rural landscapes and scenic mountains. It’s heritage dates back to the mid eighteenth century, and the community has played important roles in both the War of 1812 and the American Civil War. Ask some residents what Loudoun County is known for, however, and they’ll offer you three very notable distinctions: wineries, data centers, and growth. Loudoun has been one of the fastest growing counties in the country for the past ten years and is home to more than 40 wineries. It also maintains more data centers than anywhere else in the world. In fact, up to 70 percent of the world’s Internet traffic passes through this idyllic community daily. Data centers occupy more than 9 million square feet in the county, while 1,400 farms take up over 142,000 acres. For the local government leaders in Loudoun, its digital communications strategy aims to provide residents with the news, information, and resources they need to help continue to make the county an outstanding—and outstandingly unique—place to live and work. According to Chris Rossbach, Communications Systems Team Lead for the Department of Information Technology in the County of Loudoun, it has been important for the county to utilize a website content management system (CMS) that meets the needs of their citizens. This strategy aims not only to help citizens obtain the information and resources they need quickly, it reduces the burden of phone calls, emails, and walk-in requests for administrative staff. To help The County of Loudoun ensure its website is meeting citizen needs, it is currently in the process of a strategic redesign led by the civic engagement experts at CivicPlus®. The County has established an internal team of six staff members who are working with CivicPlus on its website redesign initiative. The team is currently in the strategic planning and assessment phase, being led by CivicPlus consultants through the company’s Informed BuildTM process. The direct result of over 2,500 client websites and over 20 years of experience in local government civic engagement, the Informed Build process utilizes data to drive the design of a website test prototype, and then utilizes the experiences and behaviors of citizens within the test environment to finalize the content, navigation, and functionality of what will become the redesigned website solution. For the County of Loudoun, the expectation is that the strategic planning process will lead to the highest quality redesigned website. According to Rossbach, not only will the new website offer improved navigation, functionality, and an intuitive architecture, it will offer a new look. The process of redesigning a website represents a significant project for any community, no matter the size. For the County of Loudoun, it has been important to tackle the redesign challenge with a long-time, valued partner. 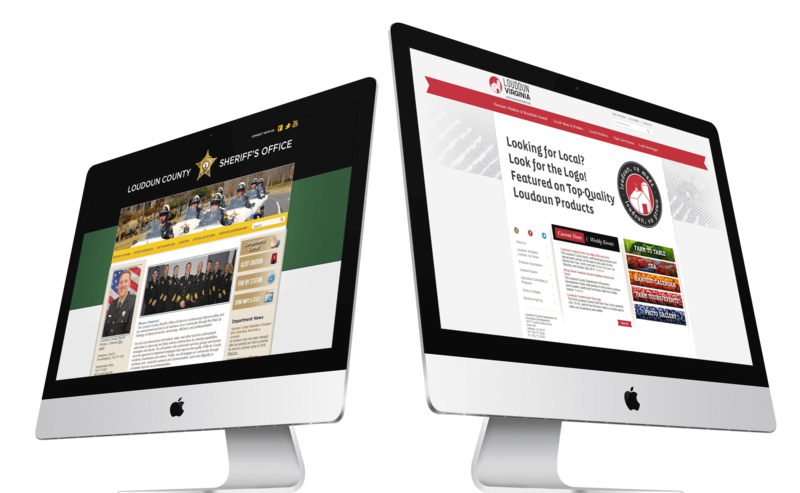 In addition to the county’s municipal website, Loudoun also maintains three websites designed by CivicPlus: the Loudoun County Sheriff’s Office, Loudoun Virginia Farms, and the Administration’s internal intranet. According to Rossbach, the County of Loudoun has trained staff in every department to be website contributors. “The most awesome part of the whole system is that non-technical staff members can add their own content, add it easily, and it looks good,” said Rossbach. Thanks to the security of the CivicEngage® website CMS, the County of Loudoun’s website has been protected from the threat of cyber attackers. Rossbach has been pleased with the service and support the County has received from CivicPlus over the years. Rossbach values CivicPlus’ commitment to using client suggestions to drive product innovations. Ready to redesign your civic website? Download our Ultimate Website Redesign eBook for all the tips and best practices you need for a successful project.